A proactive approach to network health and performance. Improving your quality of service including network speed, data backup and anti-virus solutions. So you’ve begun to notice a few cracks in your network; maybe it is running slower than usual, the printer doesn’t always respond, or you’ve got a niggling feeling your back up is… well, not backing up. These are all tell-tale signs that your network needs some tender loving care. Here at Woodstock we firmly subscribe to the adage “prevention is better than cure”. 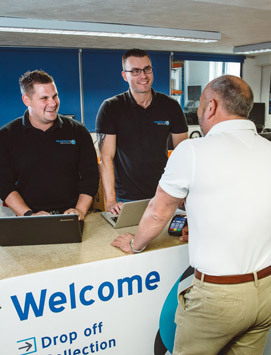 Our health checks are designed to ensure your network is running correctly with particular emphasis on network speed, internet connectivity, file sharing, back up and anti virus solutions. From this we can give you a summary report detailing any areas of recommended action listed in priority status – the critical ones being at the top of the list. What if I need “treatment”? For urgent issues we can usually help immediately and charge our standard hourly rate plus the cost of parts or software upgrades. If there is a case for an ongoing support contract we can discuss this with you. For details of our support contracts and what’s included please visit our Support Contracts page. Do I really need a support contract? Here’s our commitment to you, we will NEVER sell you anything you don’t need. We operate an ethical business where our sole priority is to support you and your business in the most appropriate way. Many businesses favour our Ad Hoc support as it gives them a pay as you go option. Others prefer the security of a dedicated IT department proactively managing their IT for an agreed fixed fee. 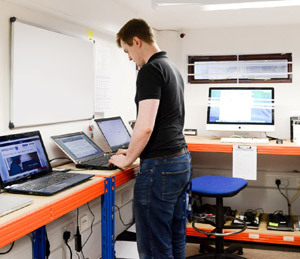 We offer a very competitive IT support service catering for both one off fixes right through to a fully supported and managed IT support contract. Find out more below. *Please note that the no fix no fee policy applies to workshop repairs only and does not cover our consultancy services. These services include call outs to your premises, remote fixing of any issues, telephone support and system monitoring.